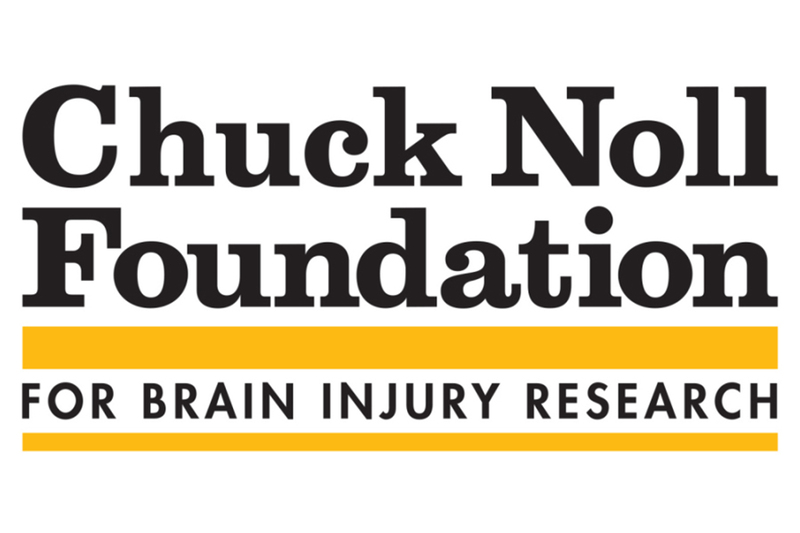 The Chuck Noll Foundation for Brain Injury Research has awarded a Carnegie Mellon University team a $130,000, three-year grant to use their newly modified high-density EEG to identify early markers for worsening brain injuries. The team will work closely with clinicians at the University of Pittsburgh. The foundation was established in 2016 by the Pittsburgh Steelers to honor the four-time Super Bowl winning coach and to support continued research and education on brain injuries and treatment of sports-related concussions. They recently announced more than $600,000 in new grants. Neuroscientists Marlene Behrmann and Michael J. Tarr will work with engineers Pulkit Grover and Shawn Kelly to further refine a custom EEG that is the first non-invasive, high-resolution system of its kind. It provides higher density and coverage than any existing system and has the potential to revolutionize future clinical and neuroscience research as well as brain-computer interfaces. First, the researchers will configure the EEG to reliably, early and in an automated fashion detect cortical spreading depolarizations, or brain tsunamis. These are biomarkers for a brain injury that is likely to worsen over time. Currently, there is not an easy, noninvasive way to identify them. Then, the team will work to improve the EEG’s accessibility for professional football players, since things like thick, dense hair and head size can contribute noise to current EEG systems. “It is exciting to see how this novel technology, obtained from information-theoretic principles, can change how we do neuroscience and clinical diagnoses. Brain injuries are an extremely important societal challenge, with 1.7 million sufferers in the US every year,” said Grover, assistant professor of electrical and computer engineering in the College of Engineering. Tarr is the Kavčić-Moura Professor of Cognitive and Brain Science and head of the Department of Psychology. Kelly is a senior systems scientist at the Institute for Complex Engineered Systems. From Pitt, the team will work with Jonathan Elmer and Lori Shutter. Until now, early financial support to modify and test the new EEG was provided by CMU’s BrainHub initiative and ProSEED program. 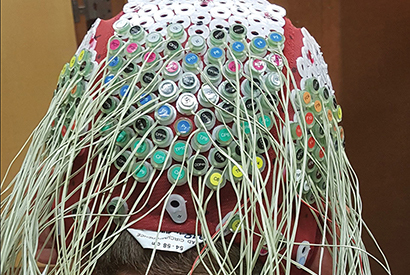 Pictured above is the custom-modified EEG.